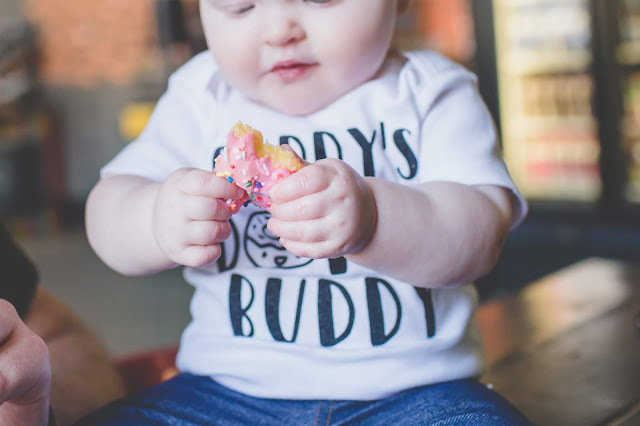 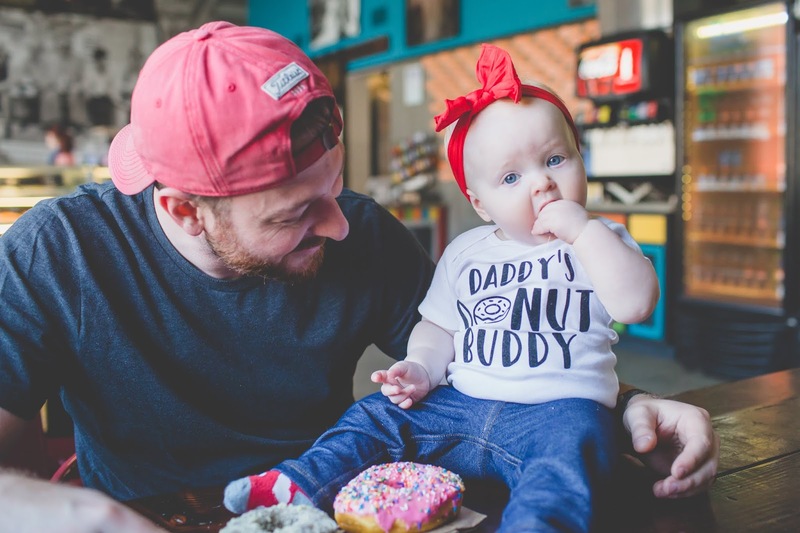 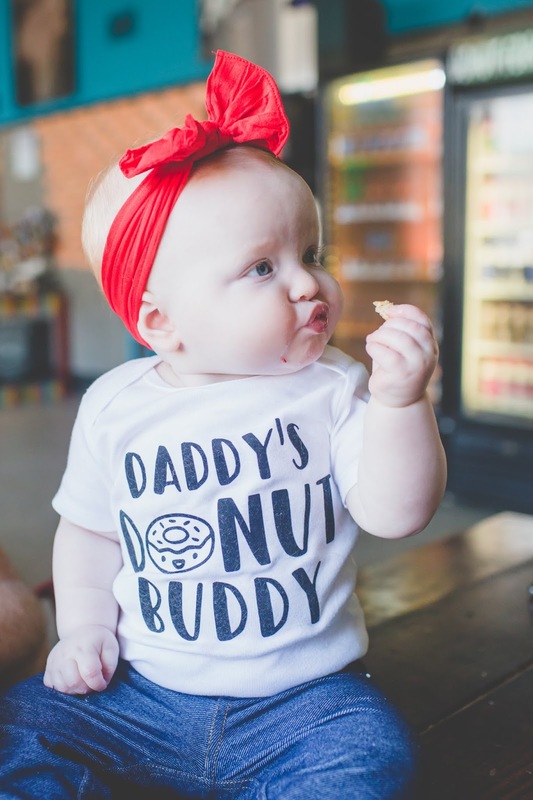 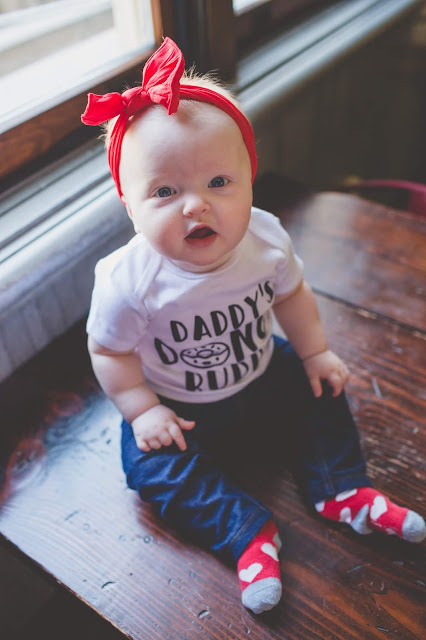 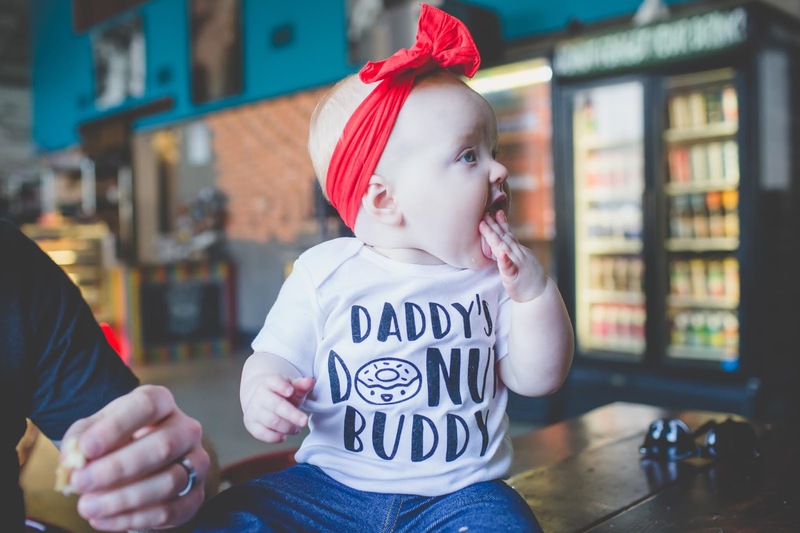 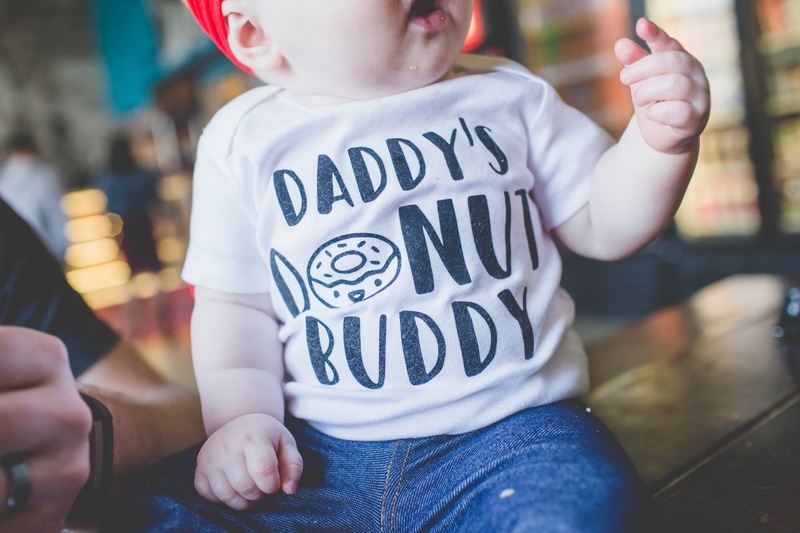 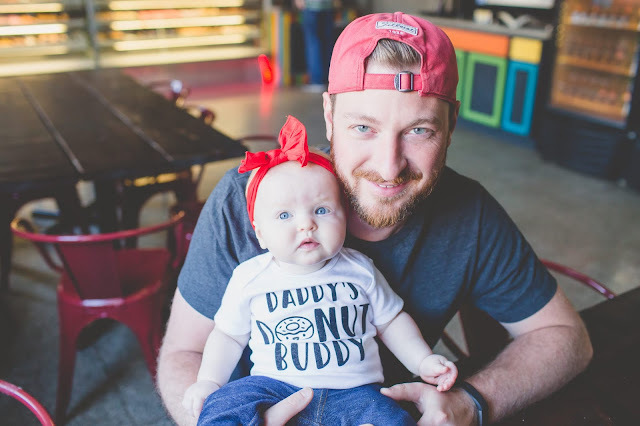 We got Larson the cutest donut shirt around! 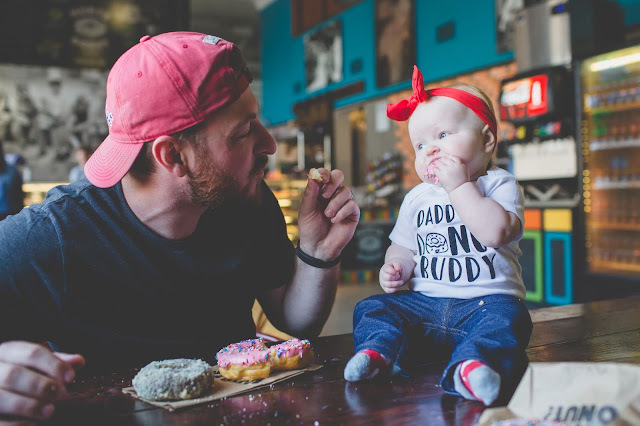 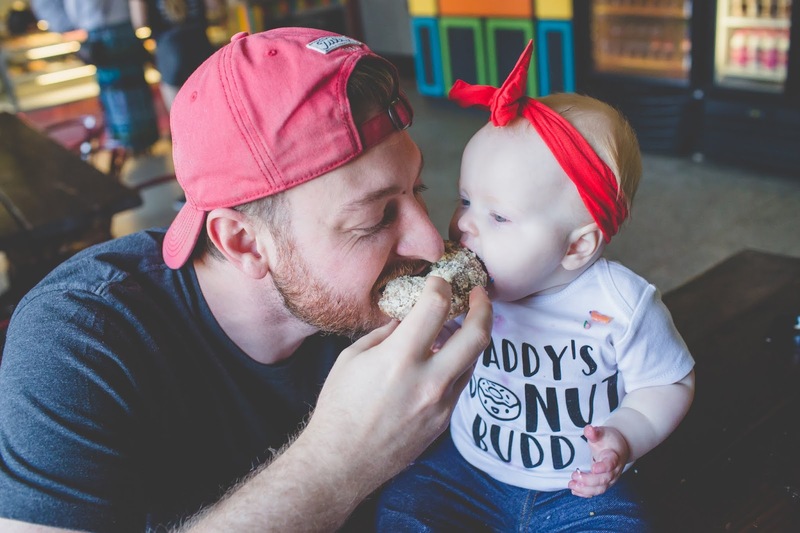 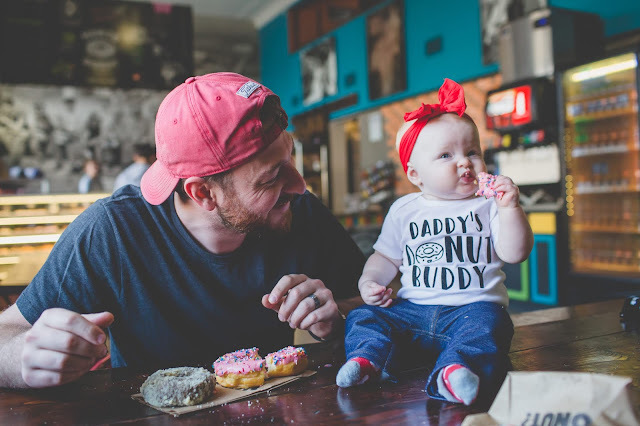 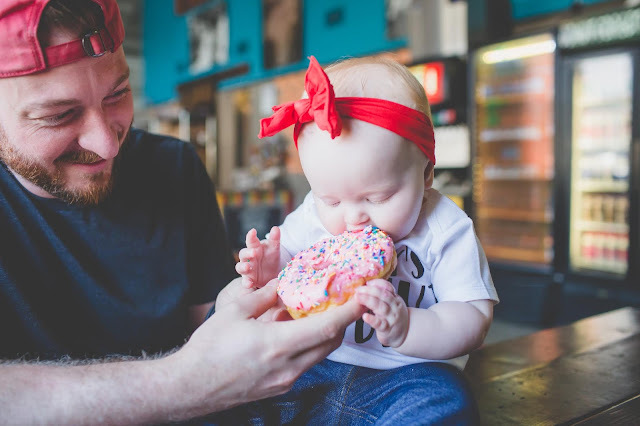 So we, of course, had to get some donuts in it with her Daddy! 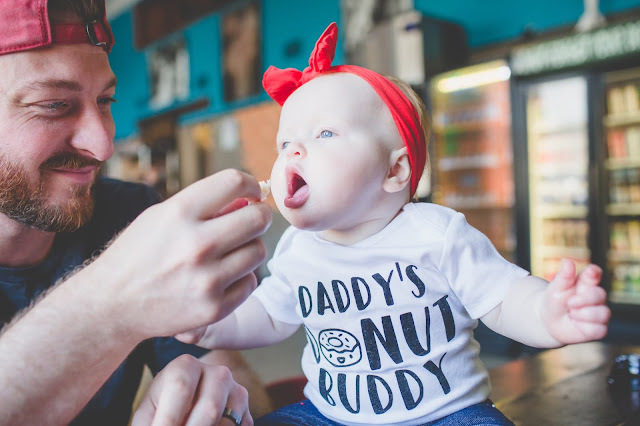 She really wasn't sure to start with, but then definitely warmed up and would've shoved that whole thing in her mouth if we let her! 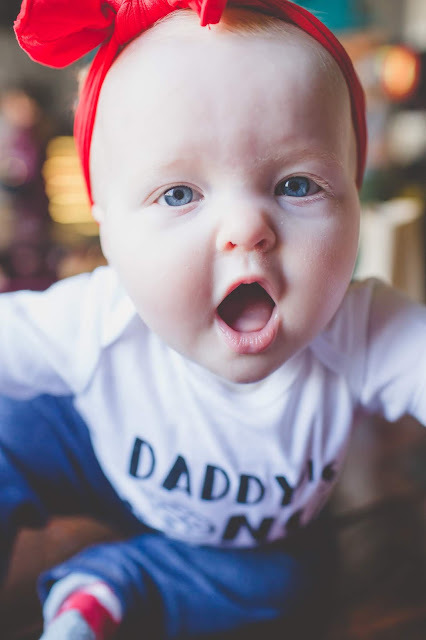 Find the shirt here! 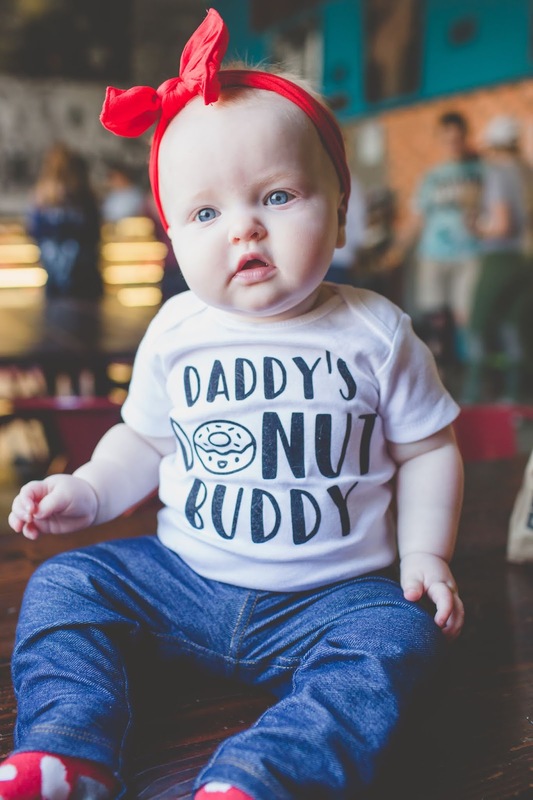 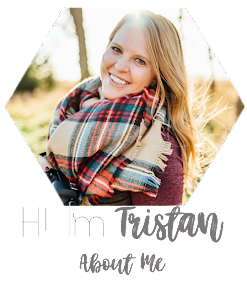 There's also a Mommy one!